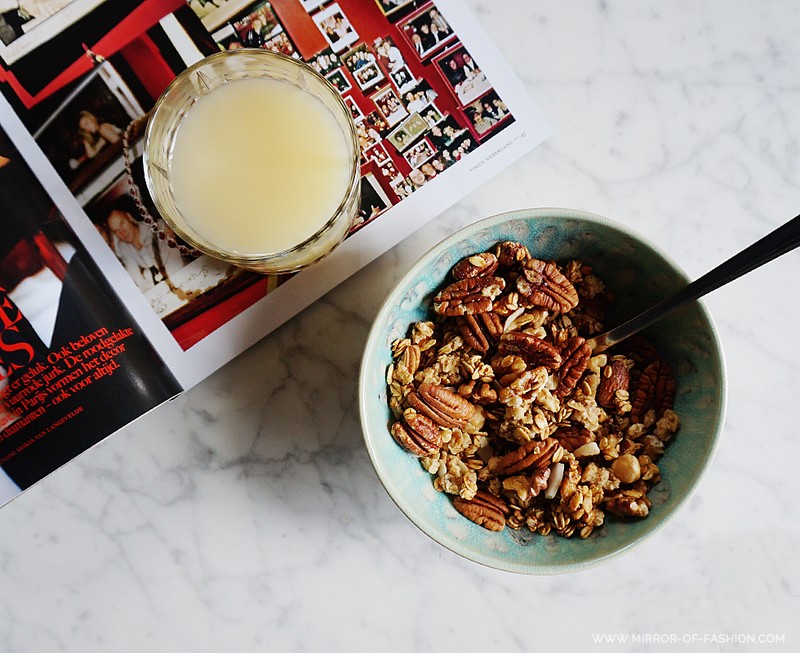 Healthy, super quick and addictively delicious, home is where you find my granola. It is only recently - during a fun and interesting workshop with Ugg Australia and Princess Misia - that I discovered the ridiculous easiness of baking your own sugar free (!) granola. 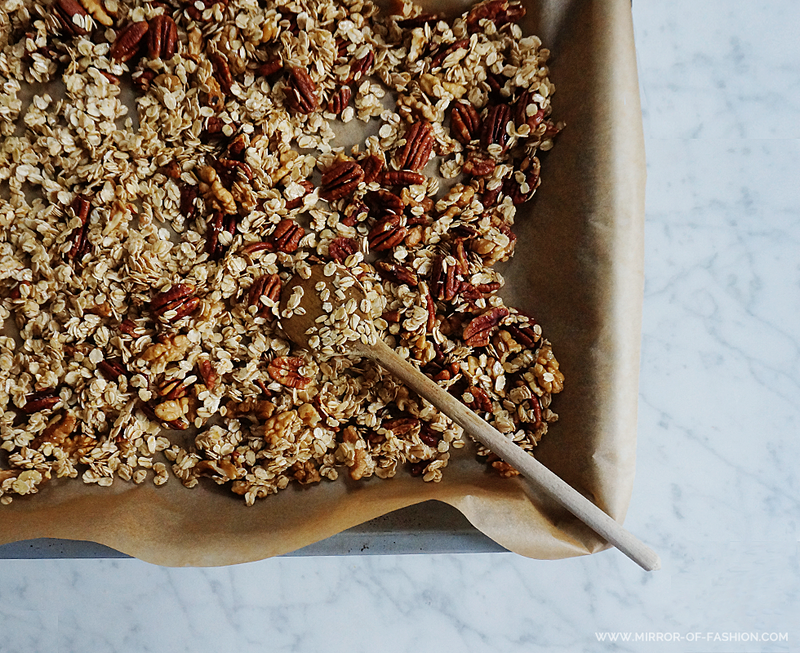 Not a week goes by without pulling freshly baked granola out of the oven ever since. 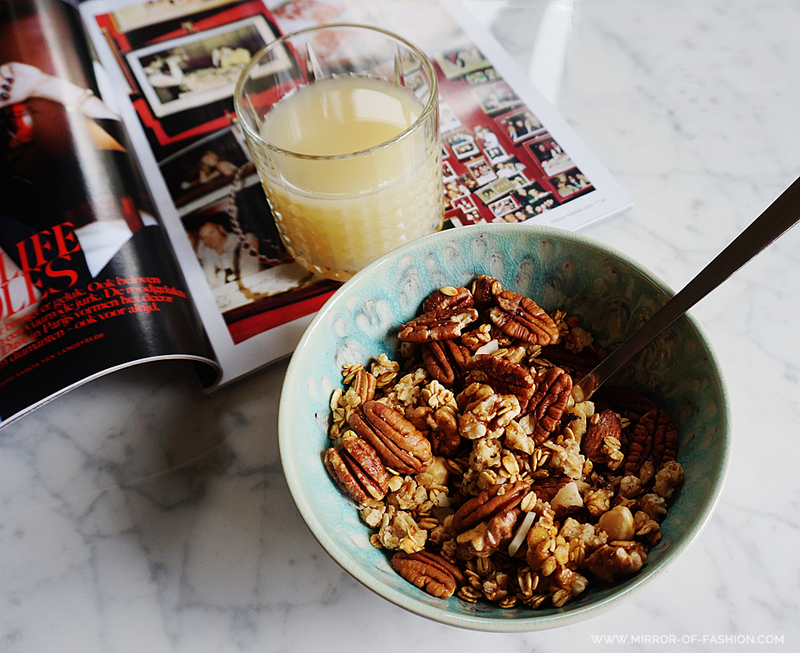 It is the perfect quick breakfast and my favorite snack; it was about time I shared my go-to granola recipe with you. 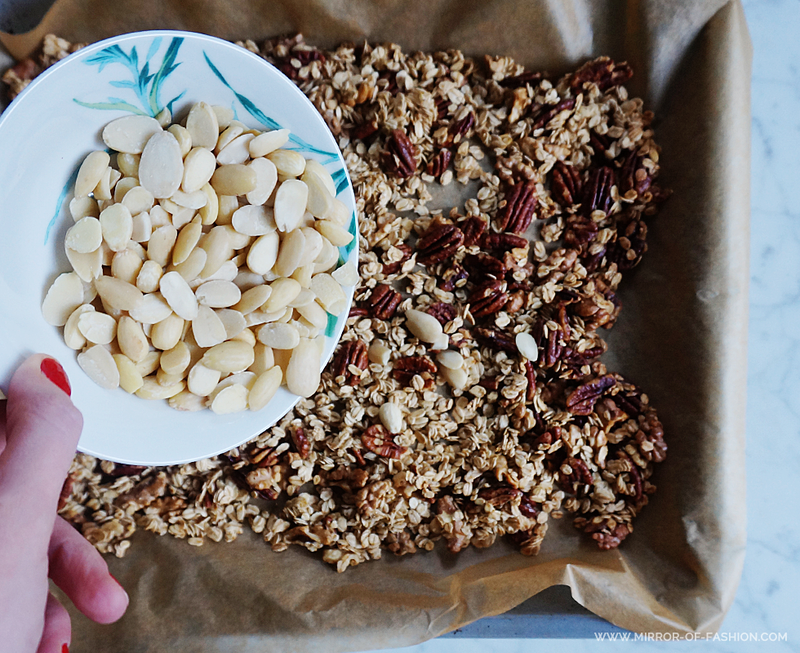 If you have a 5-minute prep time left all you have to do is preheat your oven to 150 degrees and take 5 cups of rolled oats (old fashioned ones, not the quick cooking ones for oatmeal) and five cups in total of your favorite nuts. I prefer pecans, walnuts and almonds. The almonds I save for last. 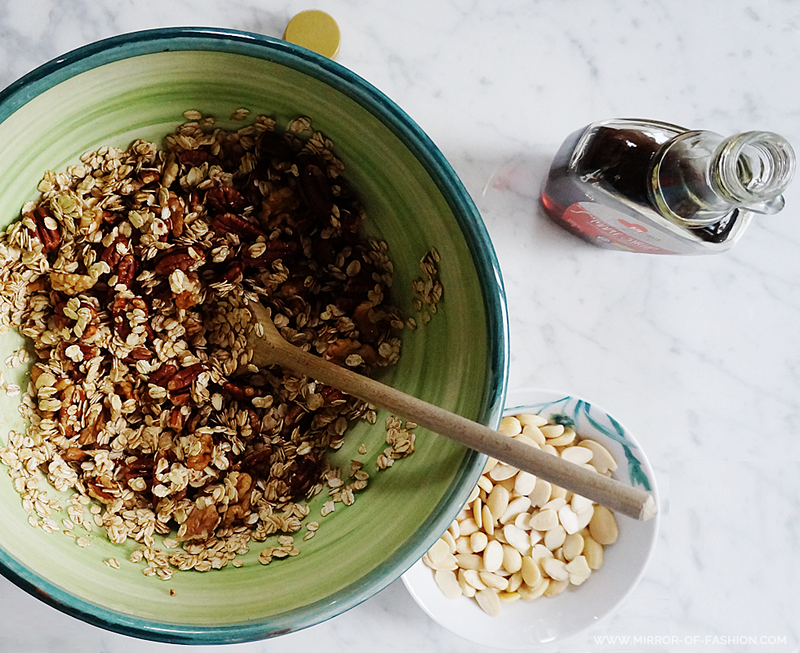 Combine all the oats and nuts together in a large bowl and drizzle 100ml of maple syrup over your mixture. 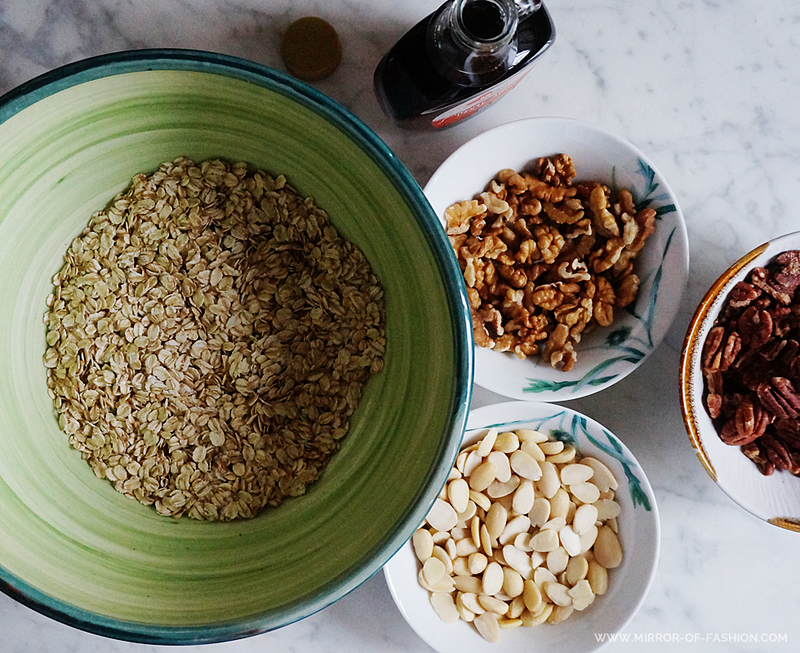 Mix it well until all the oats and nuts are thoroughly coated to create those typical little oat clusters. Spread the mixture evenly in a thin layer onto a baking sheet and place it in the oven. After a fifteen minutes bake in the oven the granola is lightly toasted. I let it cool for ten minutes and add the almonds. Store your granola in a mason jar and you're set for breakfast and snacks all week. I'm changing the flavor combination depending on my mood. In the morning I like my granola best with kefir, coconut milk or low fat yoghurt, blueberries and sliced banana. As a snack during the day I like to throw in shredded coconut, bee pollen, raisins, sunflower seeds and dried fruits. 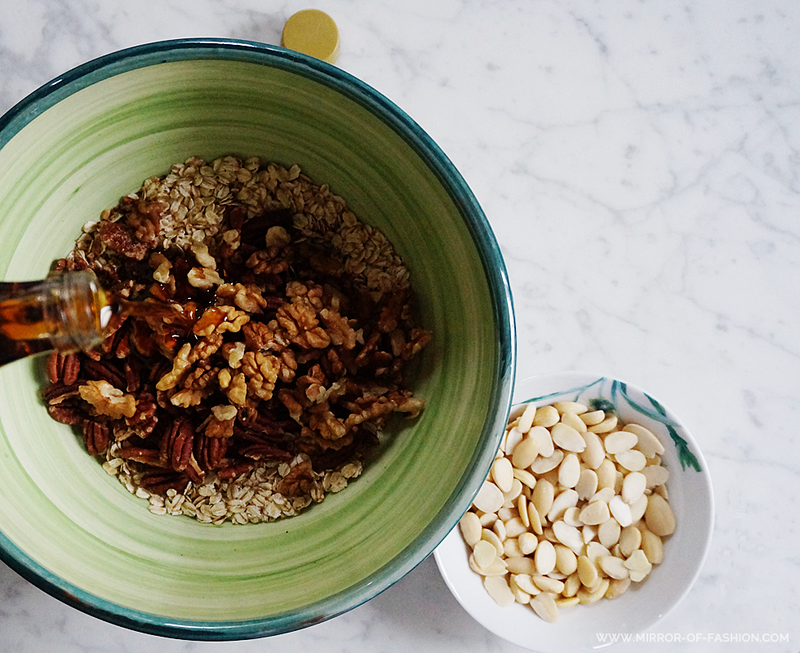 What does your favorite granola taste like? Oeeeh, ziet er lekker uit! 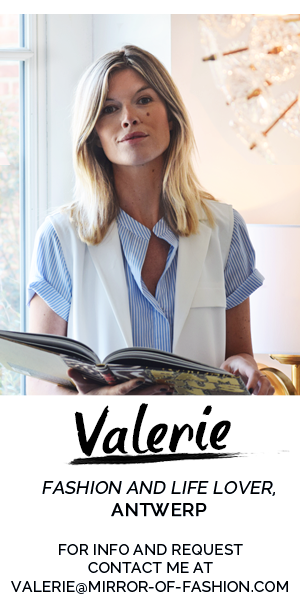 When it comes to fashion for women, using boyfriend clothings make women be unique, strange and stylish. I love the way you use the boyfriend jeans. 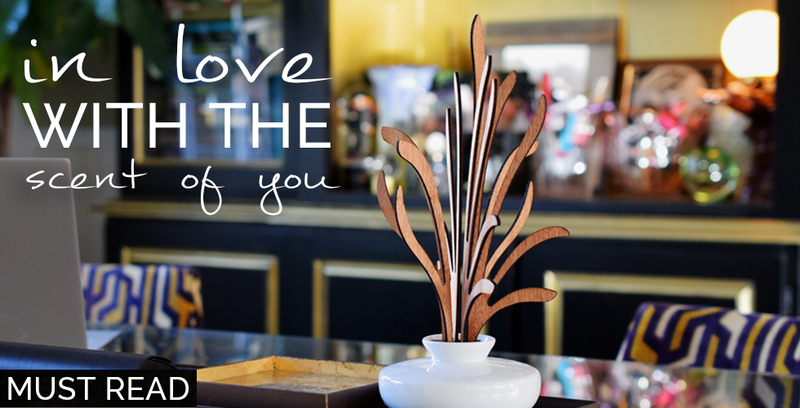 I can't take my eyes off you in this style.